On Tuesday night, state troopers in Princeton, West Virginia took it upon themselves to care for a baby after the driver ended up in custody for a DUI. When the authorities first checked on 1-year-old at the scene, they noticed he was covered in vomit, reported WVLT. 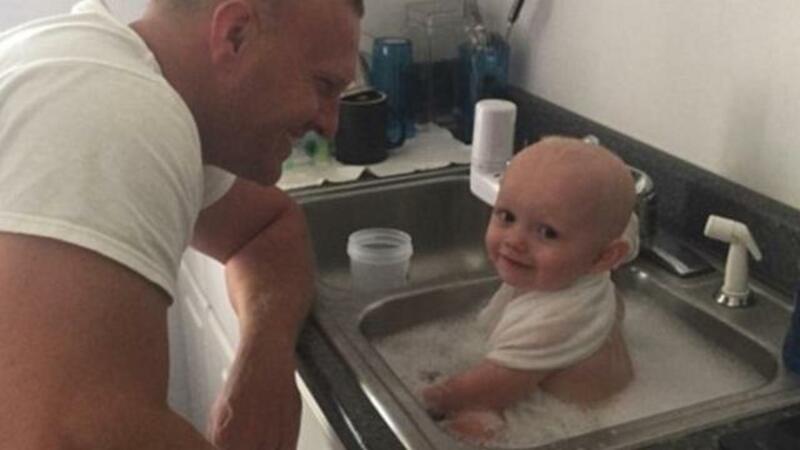 The troopers brought him back to the station and, while waiting for Child Protective Services to arrive, gave the little one a bubble bath in the kitchenette sink. Trooper D.C. Graham said, "As a father myself, I couldn't let it sit in its own urine and feces and vomit." Once the baby was all cleaned up, he was swaddled in a towel and snuggled until it was time for him to go. KOMO News reported that the little one is now under the watch of a legal guardian.